TesseracT are a five-piece progressive technical metal band who formed in 2007 and appeared to burst onto the scene very quickly, quite rightly receiving props from peers such as Textures and Meshuggah, as well as press alike (Metal Hammer, Rock Sound, Scuzz). Through, two EPs, an album and touring with artists such as the great Devin Townsend they have gained an international fanbase. Perspective is somewhat different to TesseracT’s other stuff as it is acoustic but you can tell that it has TesseracT written all over it. They have taken 3 of their previous songs – Perfection, April and Origin – and turned them into acoustic songs as well as a cover of Jeff Buckley’s Dream Brother and wait for it… Eden 2.0! And just wow. They’ve done a brilliant job. They are all such talented musicians but I’ve been particularly impressed with Elliott Coleman’s vocal talent on this EP. 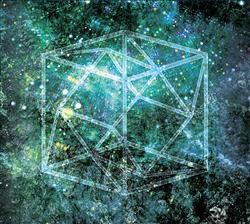 I am already a massive fan of TesseracT but this has really done it for me. Each song is wonderfully executed, full of emotion and most of all it has a pulse – something I feel that a lot of bands who try something different lack – each time I listen, I find myself shouting “WHY ARE THERE NOT MORE SONGS?”. It’s simply incredible. Apologies but I felt I had to raise that point. I’m sure it doesn’t really matter but this is all about my thoughts and opinions, right? All in all, it’s bloody brilliant. TesseracT have done a wonderful job at taking their own songs and turning them into something completely different yet remaining consistently awesome. TesseracT – Perspective is out this Friday, 18th of May through Century Media Records and is a digital only release. It will be available on iTunes. I have kind-of not been in know with the music scene of late. I have no excuses other then life has allot going on and it is hard to do it all.